A couple days ago, I came across my stash of skeleton keys that I bought at an antique for a $1 each a couple years ago. I had some good fun trying them all out in my apartment's 100+ year old doorknob keyholes. (Two of them worked!) Anyway, last night I felt that a key necklace would really complete my outfit. But just stringing a key onto a chain wasn't pretty enough. 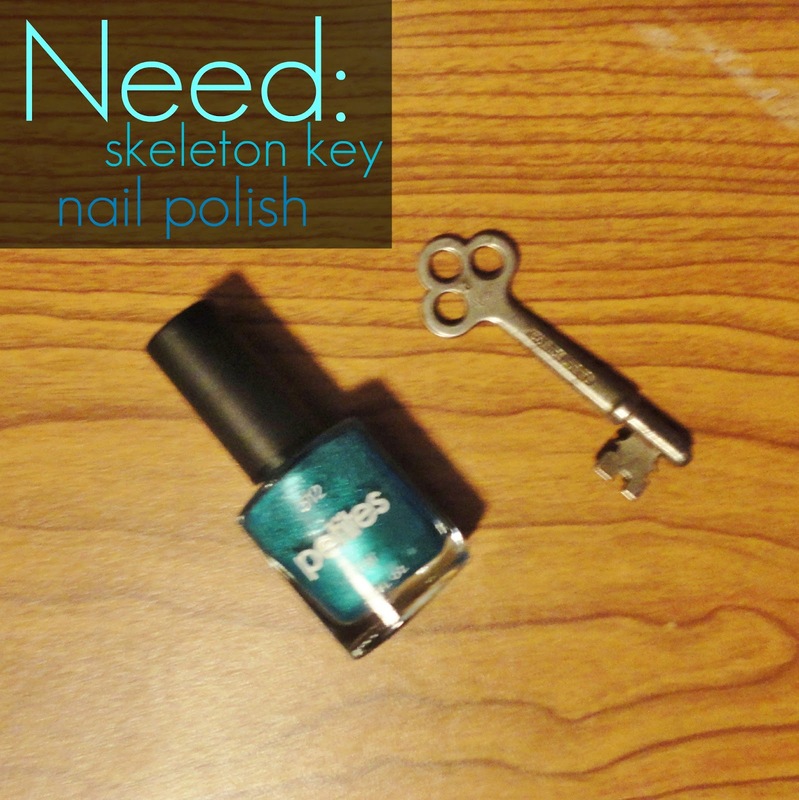 So I grabbed my metallic turquoise nail polish, picked out one of the pretty keys, and painted it! It turned out super cute. I strung the turquoise key onto a long silver chain for a simple look. 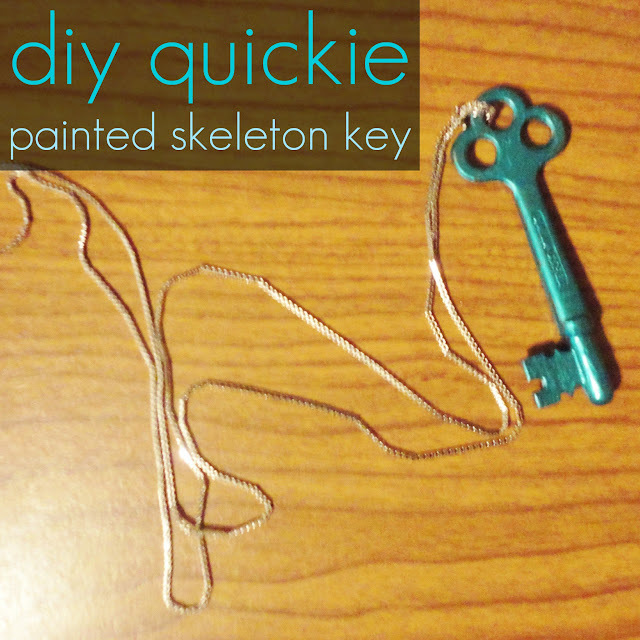 But if I want to feel more vintagey next time, I'll put it on an old chunky gold chain. very cute! what a clever idea!